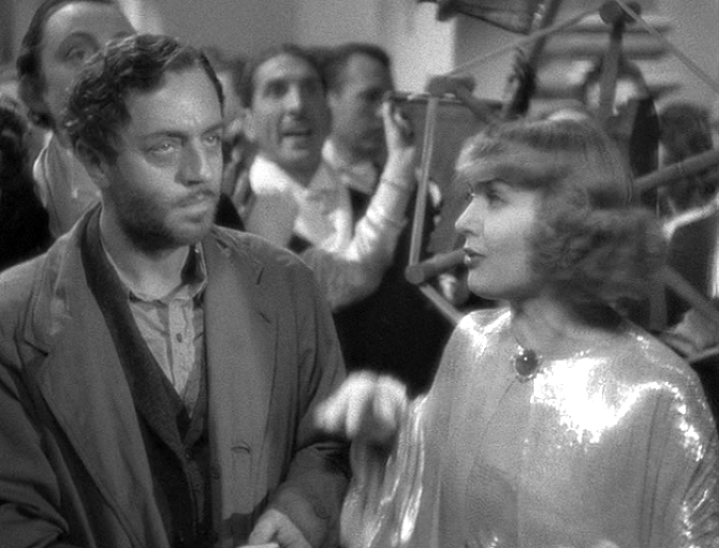 MY MAN GODFREY is so universally revered I almost feel like I ought to recuse myself because when I recently watched it several decades after enjoying it first as a child, I only got a few chuckles out of it. Now, I really don’t think there’s anything wrong or missing with my sense of humor, but I found myself more impressed by the performances than the punch lines, more taken with the art direction than the asides. ‘Bum’ Godfrey is discovered at a riverside hobo camp by rich swells out for kicks by bringing discarded items to a scavenger hunt charity event. They think the cast-off Godfrey is ever so much more amusing than any other used nicknack they might dig up. The silly rich girl who snags him gets her family to keep him on as a butler. 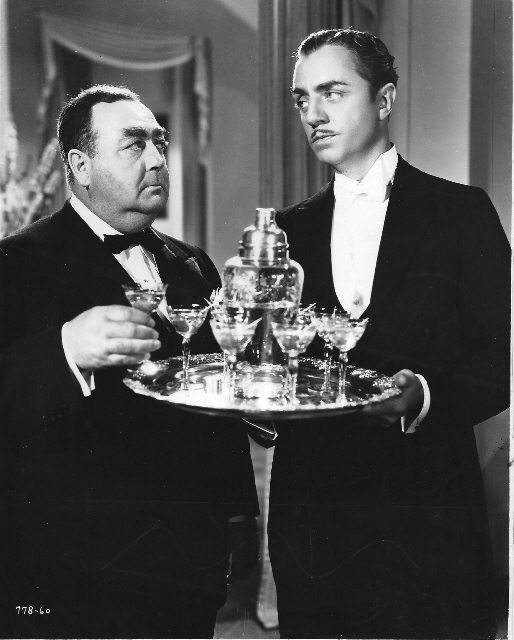 Life lessons ensue, amid much screwball behavior by the zany tribe and elegant sarcasm from the observant bum-butler. Poking silly Depression-era fun at the fur & tiara set, those giddily oblivious to the plight of the downtrodden, it was a big hit in 1936,hitting #11 for the year in tickets sales, and drew six Oscar nominations: William Powell and Carole Lombard for their leads, Alice Brady and Mischa Auer for supporting roles, Gregory La Cava’s direction and for the zippy screenplay (Morrie Ryskind & Eric Hatch). Powell really shines as calm, uber-droll relief from the barked antics of the rest–all of whom are dead-on with their characterizations. I enjoyed Brady’s marvelous line readings the most, taking modulation through the roof. Whether you’re laughing (like everyone else) or just smiling (like moi ) you’ll for sure enjoy the dazzling look imparted by the costumes and art deco sets in classic high-gloss black & white. Things glisten. With Eugene Pallette, Gail Patrick, Jean Dixon, Alan Mowbray and Grady Sutton. 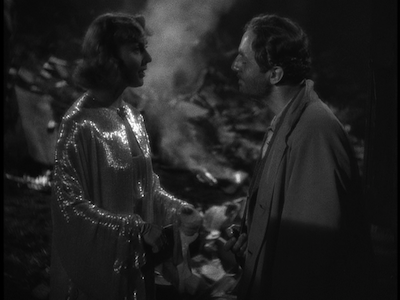 A few cast tidbits​….. Powell and Lombard had been married in 1931-33. “Totally incompatible” in marriage, they remained good friends. She got the role here upon Powell’s insistence. 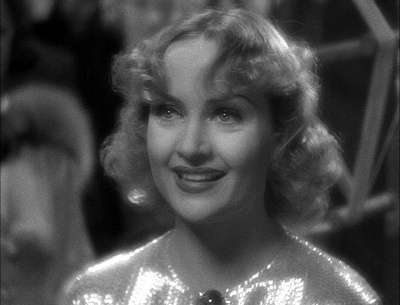 Life imitating art as regards wealth versus welfare, by the time this movie was up for its awards, Lombard was making four times the salary of President Roosevelt. Hard to imagine by looking at his bulging-to-bust figure, but Pallette had once been a jockey! He succumbed to anti-Red paranoia, waiting out the Commie invasion by living in a bunker-like hideout in gorgeous, isolated Imnaha, Oregon. 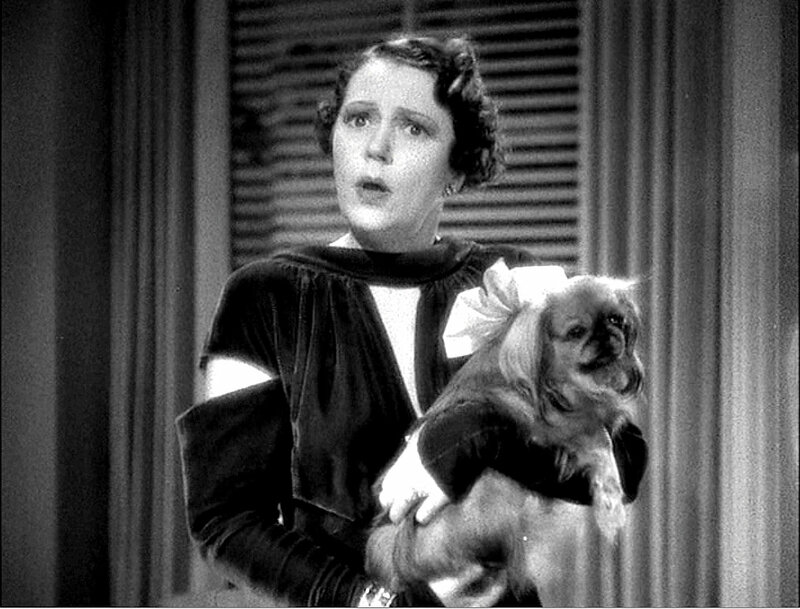 Brady won a supporting Oscar the following year, playing a 100% different type of mother, the down-to-earth matriarch of the cow-fated O’Leary’s in In Old Chicago. Patrick later co-produced Perry Mason. Dixon had trained under Sarah Bernhardt and shortly retired from films and went back to the stage. Supercilious Mowbray had won the Croix de Guerre for heroism during WW1. Auer, born Mikhail Semyonovich Unskovsky in the tradition-constrained realm of Czarist Russia’s St.Petersburg would, in classic decadent Hollywood fashion, be married four times.